Get what you *really* want at work. SPACE is a decision-making process which helps you better understand your organization, enabling you to focus your energy to achieve results, success, and satisfaction. 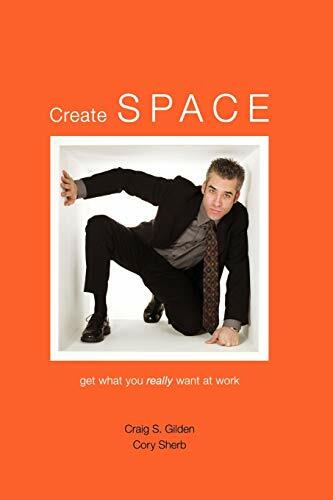 Full of actionable tools, Create SPACE is a self-improvement book which shows you how to navigate around the Friction in your organization without creating Heat. Your ability to successfully navigate office politics will improve and you will increase your effectiveness at work.